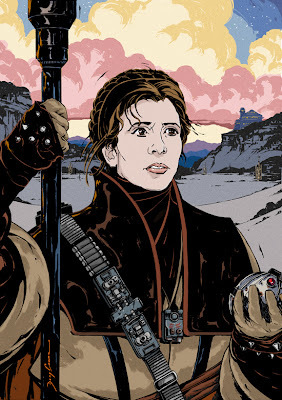 Doug Cowan created this cool portrait of Princess Leia, epic heroine, for Topps' Star Wars Galaxy 7 card set. 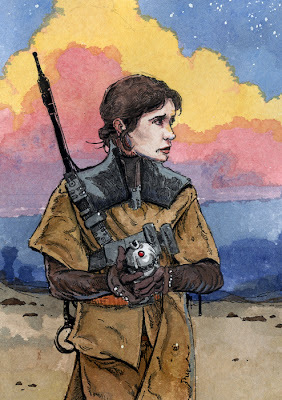 The image depicts Leia in her bounty hunter disguise shortly before the events of Return of the Jedi. The watercolor sketch that received final approval was also featured on the cardback. This coordinates well with the re-release of Star Wars: Episode I - The Phantom Menace in 3D.